With Easter being right around the corner, it isn’t too surprising that all of us are out looking for some of the cutest Easter toys for baskets. As someone who loves cute things, I am always on the lookout for adorable and educational toys for family members. 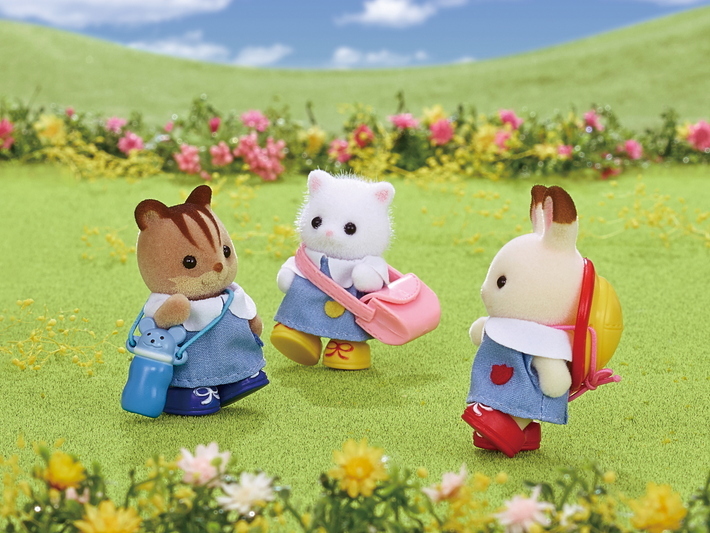 When it comes to cute children’s toys, one of my top choices has to be Calico Critters. For those who don’t know these globally popular toys, the Calico Critters collection is beautiful and richly detailed animal figures that live in “The Village” and value “Nature, Family, and Love.” When I was a kid, I loved these beautiful dolls (though they were called the Sullivan Family back in the 80s and 90s). As you can guess, they have been a favorite for little girls and boys for decades! 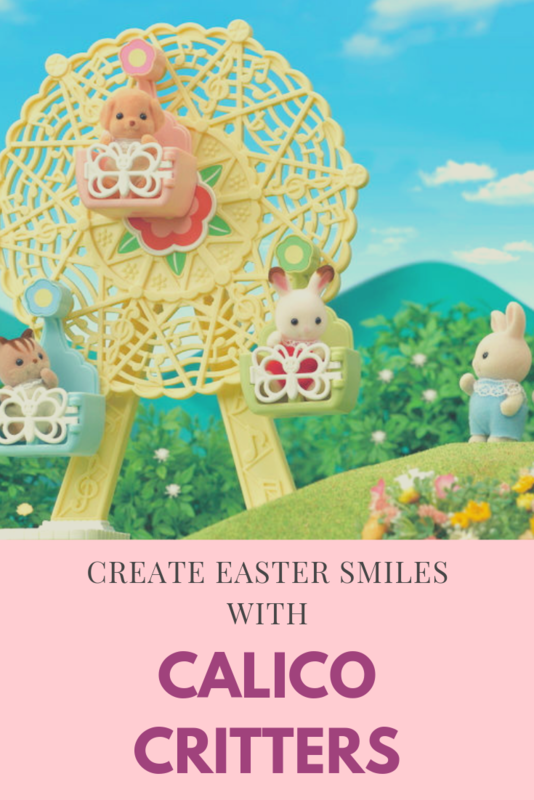 Just in time for Easter, they are expanding the Calico Critter Nursery Series, and we are pretty excited to share the newest Calico Critters Nursery Play Set and Critters, just in time for Easter! Does your child love to bring their toys on fun adventures? Help them bring their Calico Critter friends on a fun outdoor trip to the amusement park with the Calico Critter Baby Ferris Wheel. Kids can open the gondola doors and have Baby Critters hop on the carts for a ride on the spinning wheel. This set includes a total of 12 parts, including everything to create the Ferris Wheel, gondola doors, and a new Calico Critter Nursery friend – Milo, the baby Toy Poodle! Recommended for children 3 and up! Is your child ready to have their nursery school? Help them create a cute little adventure and have a fun preschool learning session with the Calico Critters Nursery Friends Set. 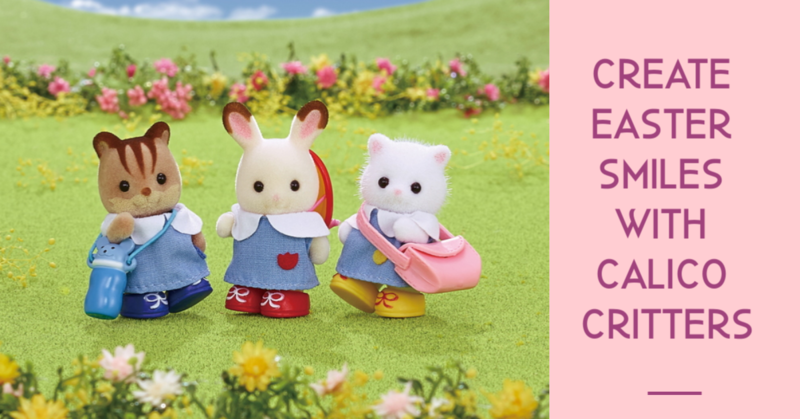 This adorable set includes three baby critters with school uniforms and accessories they can use in the day, such as Grace Hopscotch Rabbit wearing a cute red hat, Luke Hazelnut Chipmunk with a water bottle and Bonnie Persian Cat with her pink backpack. 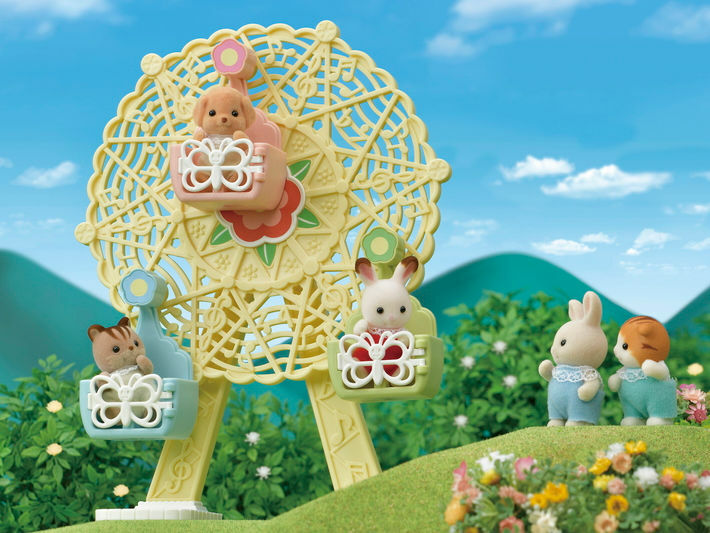 To make an even more fun day, these cute friends go great with the Calico Critters Baby Ferris Wheel! Recommended for children 3 and up! Want to add a fun surprise to your child’s Easter Basket? Make them smile with Calico Critter Blind Bag from the Baby Shopping Series. 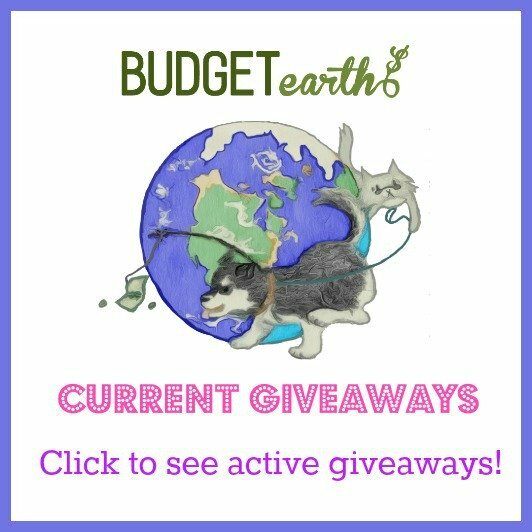 Each bag includes a surprise Baby Critter and a uniquely designed grocery and shopping accessory. As well, the series includes an extra secret style critter. 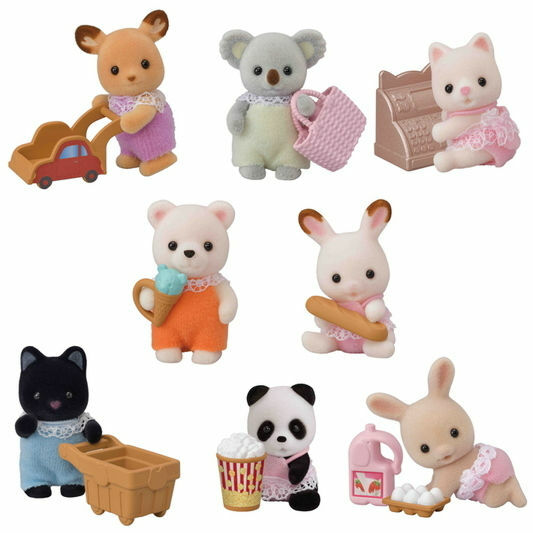 This collection includes nine new collectable babies – Hopscotch Rabbit Baby with Bread, Buckley Deer Baby with Shopping Cart, Wilder Panda Baby with Popcorn, Outback Koala Baby with Shopping Bag, Polar Bear Baby with Ice Cream, Sweetpea Rabbit Baby with Eggs and Juice, Tuxedo Cat Baby with Shopping Cart, Silk Cat Baby with Cash Register, and an exclusive secret style baby to join the fun at the Grocery Market! Recommended for children 3 and up. Do you have a little one that loves music? Help them create a fun little surprise band this Easter with the Calico Critter Blind Bag from the Baby Band Series. 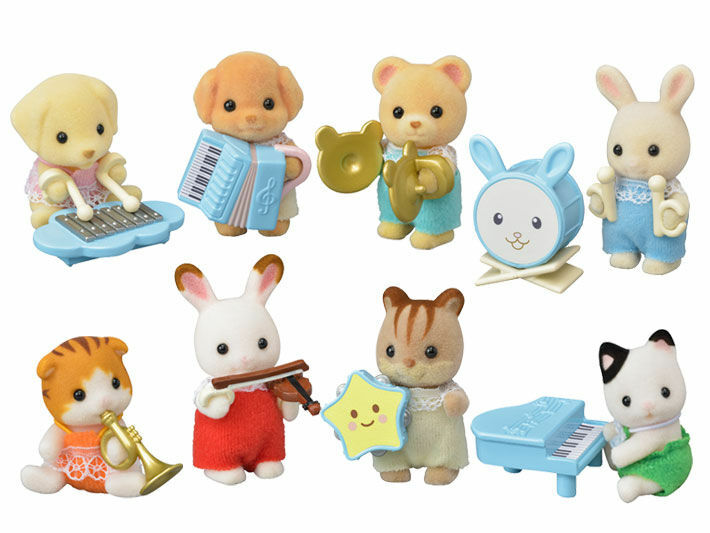 Hidden within each of the blind bags is a fun baby Band critter that also includes a uniquely designed musical instrument. This collection includes nine new collectible babies eight new collectible babies – Shiloh Yellow Labrador on xylophone, Daisy Maple Cat playing the Trumpet, Jason Cuddle Bear with cymbals, Henry Sweetpea Rabbit on the drums, Milo Toy Poodle with accordion, Grace Hopscotch Rabbit playing the violin, Joseph Tuxedo Cat on the piano, and last but not least, Luke Hazelnut Chipmunk playing the tambourine. Recommended for children 3 and up.